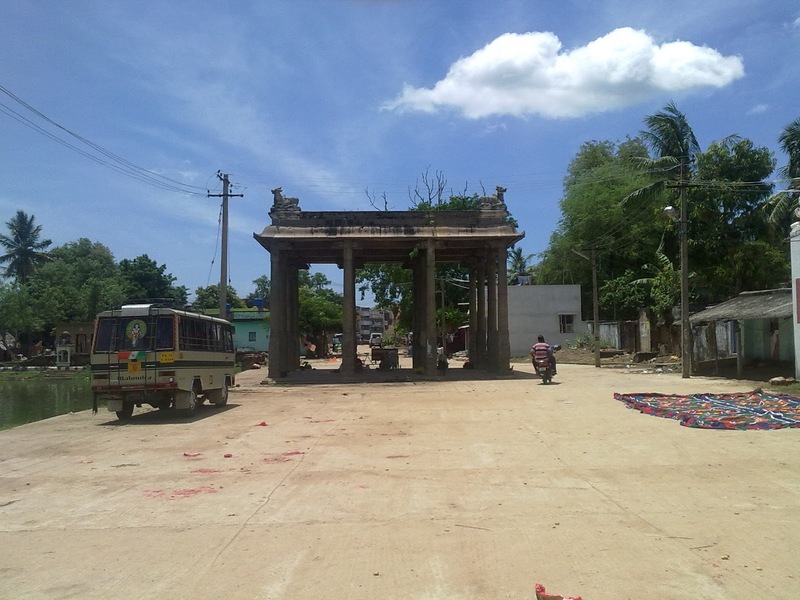 Ponneri is a small town in Thiruvallur district, located about 38 kms north western side of Chennai. From Chennai, one has to drive past the Padi junction on Chennai - Kolkata highway to reach Thachur cross roads (koot road). From Thachur cross road junction, one has to take right turn and drive about 5 kms to reach Ponneri. 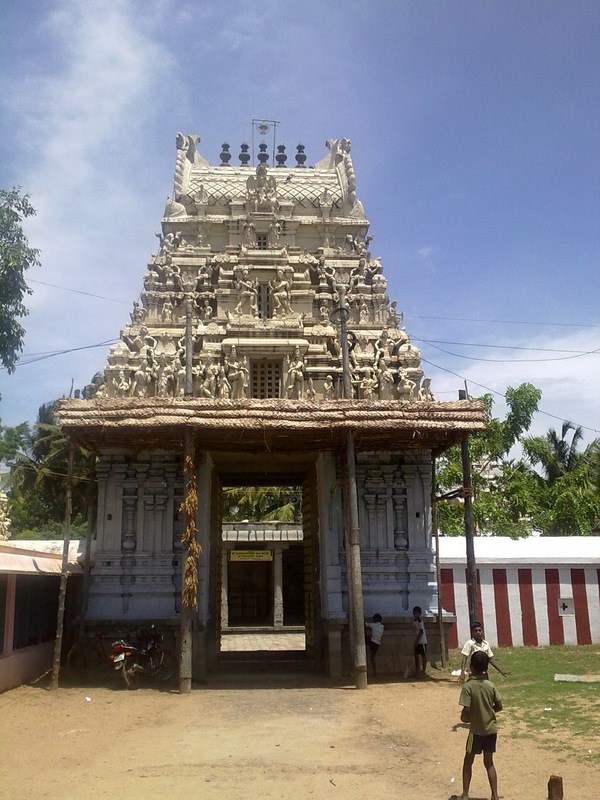 Ponneri has an ancient temple for Lord Shiva by which is said to be over 2500 years old. 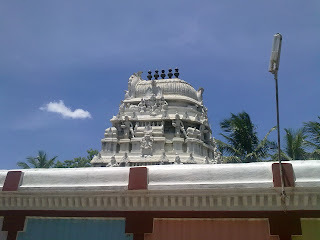 The main deity here is Sri Agastheeswarar and Goddess Sri Anandavalli. 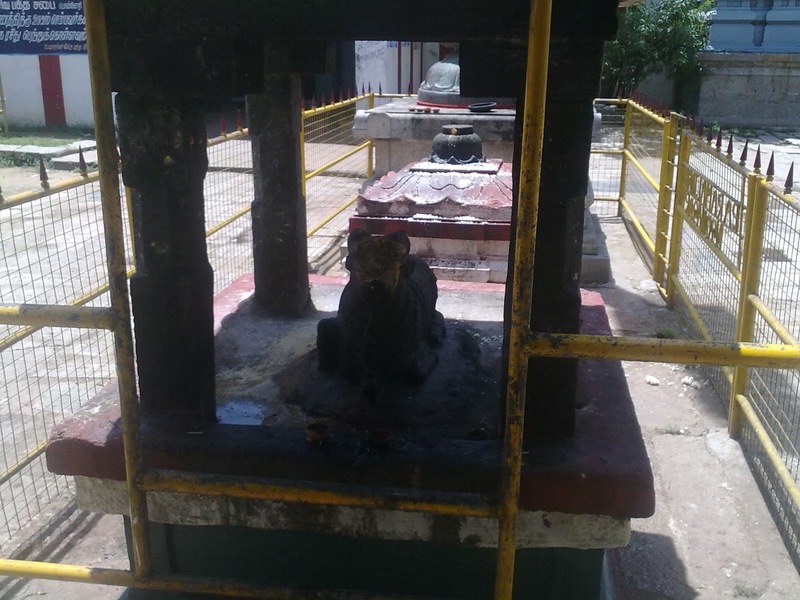 According to the legend, the Lord here is said to have been worshipped by the ancient sage Sri Agasthiyar himself. 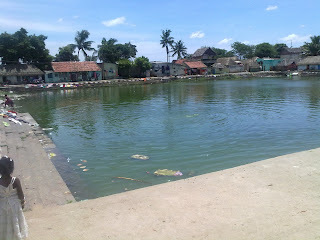 The ancient name of this place is Kumbamuni Mangalam. Sage Agasthiar is also known as Kumbamuni, as he once collected the whole of river Cauvery into his holy pot (Kamandalam) to bring down the force of the river. 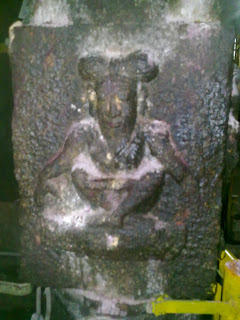 It is said that Sage Agasthiar had stayed in this place for years while he was travelling in the Southern part of India. 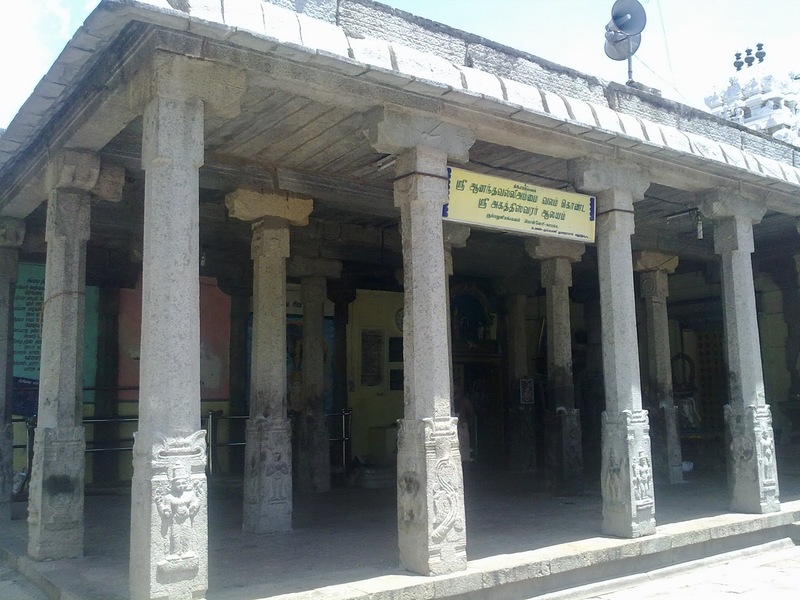 Sage Agasthiyar was caught with severe stomach ache while he was passing this side and he found this temple, stayed here and worshipped the Lord to get relieved of his pain. The Lord who was pleased with his prayers appeared to him and relieved him from his pains. 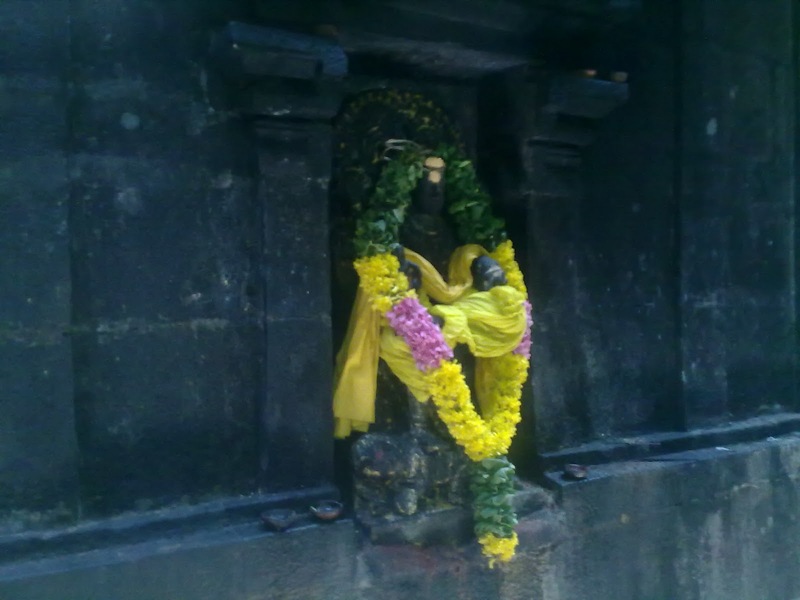 Since, sage Agasthiyar worshipped the Lord here; the God came to be known as Sri Agatheeswarar. One can see a lot of temples in this part of Tamilnadu in which the main deity Lord Shiva is called as Agastheeswarar. It is said that Sage Agasthya installed and worshipped about 108 Shiva Lingas in various places here and the 108th Shiva Linga being Sri Ashtotheeswarar (or Nootretteeswarar which means 108th Shiva) at Chinnakkaavanam near this town Ponneri. The temple is built on a very vast land and is highly scenic and beautiful, which has stood strong across centuries. The temple is facing east and has a wonderful 3 tiered Rajagopuram which welcomes us into the temple. There is a beautiful pond outside the temple which is called Agasthya Theertham which serves as the Theertham for the temple. 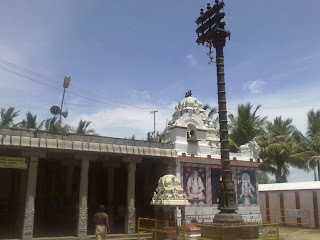 There is a grand Dwajasthambham (flag post) at the outer praahaaram of the temple once we enter the temple. There is an ancient Nandhi in a small mandapam just in front of the Dhwajasthambham facing the west towards the sanctum. 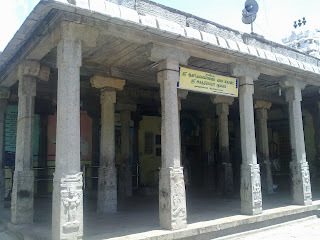 A wonderful stone mandapam with multiple pillars and meticulous carvings is present in front of the Nandhi, which takes us towards the sanctum. The Lord Sri Agastheeswarar is present in the sanctum with divine silence and excellent vibrations. The sanctum is built in Gajabrishta shape (also called Thoongaanai Maadam), which is in the shape of the back of a sleeping elephant. 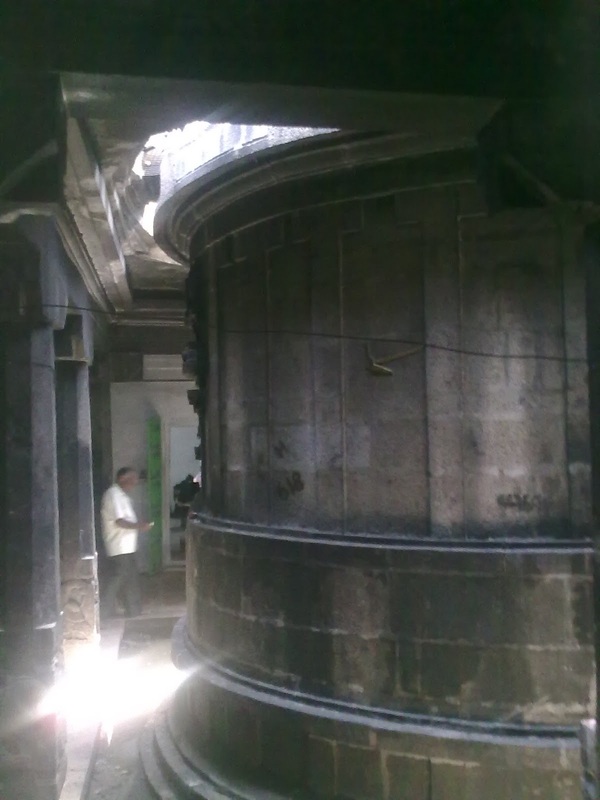 This type of architecture is seen in many of the temples built by the Chozha kings. Goddess Sri Anandavalli is seen adjacent to the sanctum with a motherly smile showing lots of grace and mercy to the worshippers. The Dwarapaalikaas statues are found guarding the Goddess’s shrine near the entrance on either side. 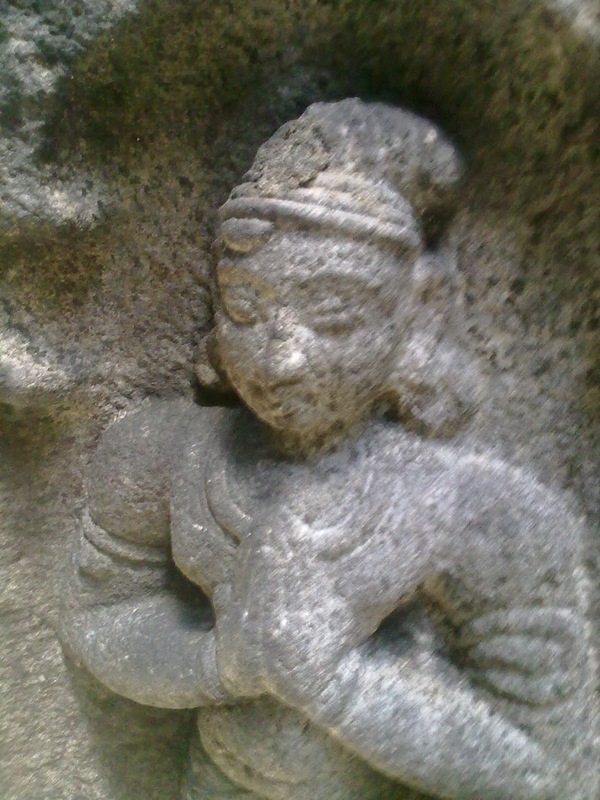 Lord Dhakshinamurthy (Guru) is seen facing south on the outer wall of the sanctum. 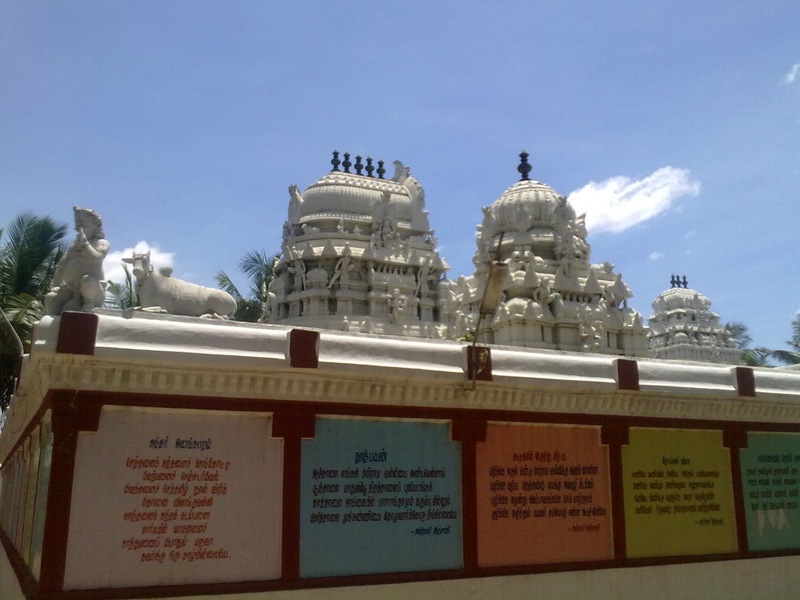 This temple has received many donations in form of lands and gold during the Chola period. 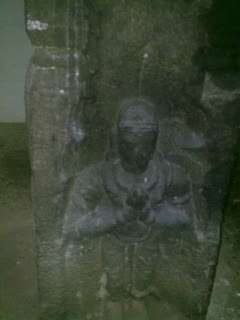 There are sculptures of Raja Raja Chola 1 on the pillars. Also there are images of Rajendra Chola and Mummudi Chola on the pillars, which have visited the temple during various periods and offered lots of grants to this temple for renovation and maintenance. 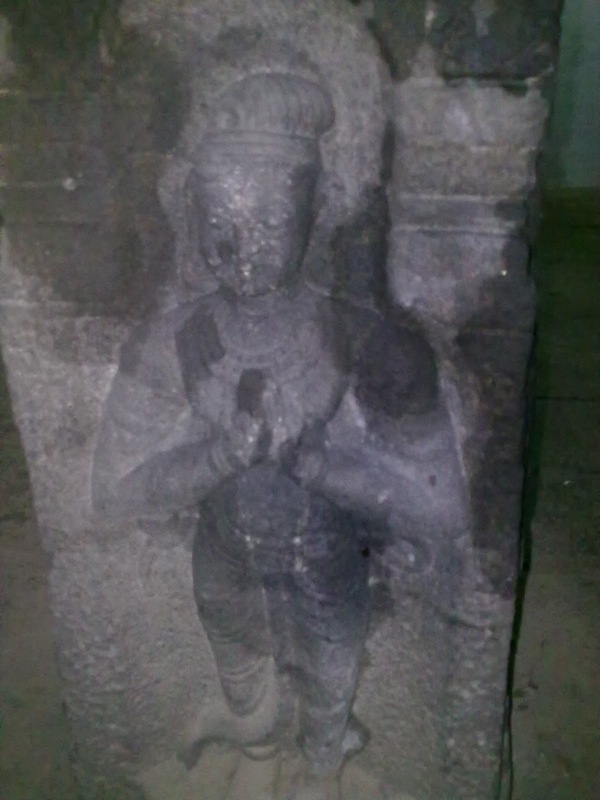 There is also an image of one of the later Vijayanagara Kings which is present on the pillars of the mandapam. 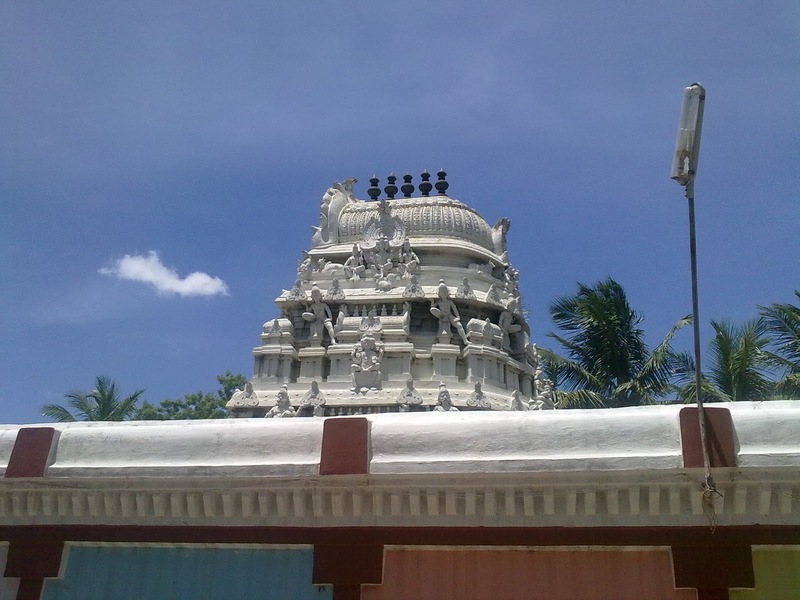 This temple also has received various grants and patronage by Vijayanagara kings. In one of the pillars, sage Agasthiar is also carved to mark his stay here and his penance towards Lord Sri Agastheeswarar. The outer praahaaram is huge and peaceful with pleasing breeze. 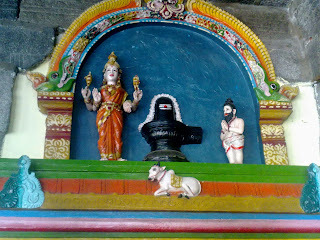 All the walls of the outer praahaaram are painted with lots of Thamizh hymns in praise of various Gods. The entire temple is very neat and maintained well, though it received very less visitors, unless auspicious days like Pradhosham, Sivarathri and Aarudhra. 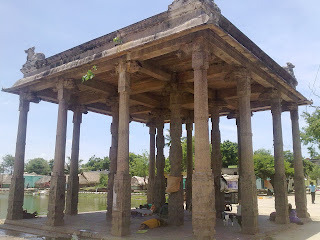 There is a magnificent 16 pillared stone mandapam outside the temple, adjacent to the temple pond with lot of beautiful sculptures on it, providing shelter to cattle and few homeless people. The temple is open till 12 pm and again opens at 4 pm till 8 pm. Overall, Sri Agastheeswarar temple is just another masterpiece to our temple architecture and our heritage. A ‘must see’ place for temple lovers. It occurs to me that the Gajabrishta shape of the sanctum could mean it was originally a Buddhist shrine. I may be wrong too. Agasthya Theertham looks great. Nice pictures. One more thing which I would like to add that the antiquity of the temple (2500 years) may also not be established on archaeological grounds. Lovely. No better way than to see S. India than visiting temples and other places of worship. Very nice and interesting. Great pictures. It was nice to read your blog after quite some time now. Excellent narration and presentation as usual. Will definitely try to visit soon. Great To see u back with your own type of narrating the temple.. Excellent. wonderful,hope to receive more information from different temple. Indian Vedic contribution is a reservoir of Vibrant Information and Harmonious Creativity. May the womb of nature embrace all with tranquil blessings from this day forward? Let this attract one's attention affecting them positively. It is a sanctuary of the self a creative venue which serves as an enduring expression of lightness, where a peaceful atmosphere with sunlight flows and serene atmosphere prevail. In the storm of life we struggle through myriads of stimuli of pressure, stress, and multi problems that seek for a solution and answer. We are so suppressed by the routine of this every life style that most of us seem helpless. However, if we look closely to ancient techniques we shall discover the magnificent way to understand and realize the ones around us and mostly ourselves. If only we could stop for a moment and allow this to happen. May all beings be happy (Loka Samastha Sukhino Bhavanthu) is the essence of Indian philosophy? The ancient Indian philosophy of keeping mind and body for the well being has entered the managerial, medical and judicial domain of the world. Today it has found its place as an alternative to the theory of modern management and also as a means to bring back the right path of peace and prosperity for the human beings. Can any1 please let me know at what time the temple opens and closes ?? thanks in advance..
First of all I am grateful for the good work you are doing. 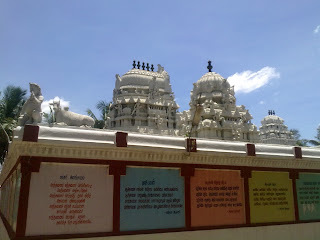 It is commendable that you visit the temples, gather so many info, post pictures with useful info. You are eliciting interest in those temples and also people who are fortunate enough [I am staying out of India] to visit them. Please keep the good work flowing. hey i loves travelling i am being a photographer my self....but it seems that you can teach me a lot how to snap....good work..keep it up. I am very happy to see these temple, it’s very nice, and I am completely enjoyed here around this temple. Here nature is also very fantastic. All comments are very good & nice. It's a wonderful site. Great information. Even the natives* of Chennai are not aware of these temples, because they have got submerged in the urbanization....Best Wishes. Pls continue with the good work. You haven't covered all. I was about to view Panchesti , link didn't work properly.Its my second visit. First visit worked well four yrs ago. Thank You, My father's native is Pooneri - Kookkumedu gramam. 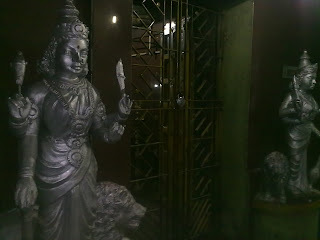 I am 58 years old now, this is the first time I heard about this temple. In memory of my father I will visit this temple once. Thank You once again. Awesome site. Really a lot of effort to collect these info.Keep up your good work..
Nice to read your blog.. Let me add some more point on the temple goddess anandavalli ambal..
She is the main deity of the temple,as she did penance for the darshan of lord shiva. She stand right to swami as yoga shakthi,,In most of the temples ambal will be at the left of the lingam..
Rajagopuram is also built facing the ambal only...during ancient periods there was no wall before ambal, later they constructed the wall with small squared way for the light to control the direct vision of ambal. Ambal is very powerful in this temple when compared to swami.. Excellent website. I think all such websites must be collated to promote tourism in this country.